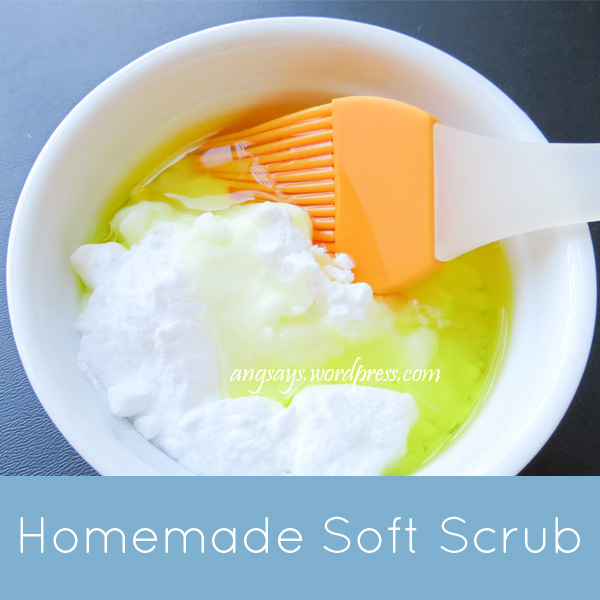 Mix all of the ingredients together with the soft brush. Then pour the solution on the stained collar and work it in with the soft brush. Some of the darker areas are shadows, not residual collar stain. In fact, this cleaning solution works so well that if you don’t cover the whole collar you might get “failed to scrub there” lines. Mine were faint and you can’t tell if your not looking for it and of course it’s easier to see in person than in photograph. 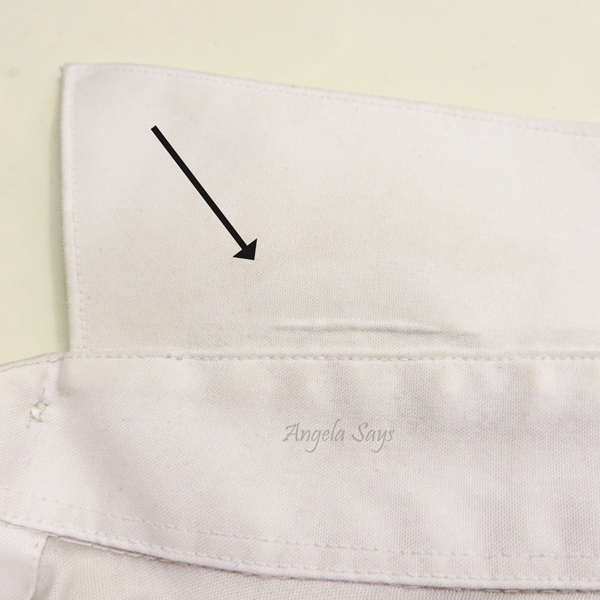 Can you see the line where I stopped scrubbing the shirt collar? Anyways, this solution is great for white shirts but test in an inconspicuous spot on color shirts. Some people have experienced a little bit of color lightening while others turned out fine. The dish soap works to break down the dirt and oil while the hydrogen peroxide reacts with the baking soda for extra stain lifting power, as well as brightening the fabric. Gently scrubbing the stain fighting solution helps to lift the tough, deep set stains leaving you with perfectly clean shirt collars. 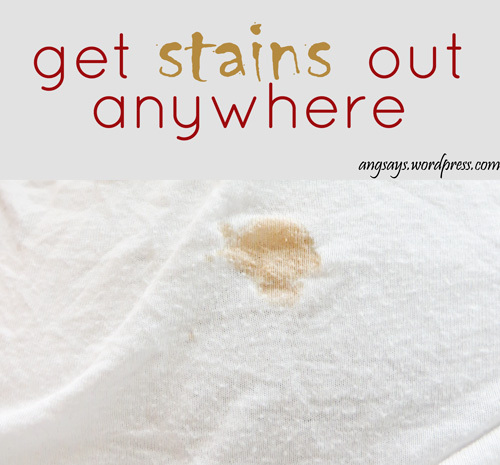 Happy Cleaning and Stain Fighting! I will be trying this asap with a large grouping of whites!!! Bleach is not possible due to the fabric content. Thanks, Angela! Thank you! I really need to do this for my hubby’s shirts! I also need to do some on underarms–but I heard aspirin will work for that! Thanks for the tips. Found you at the link up.